Squeaky Books: Enna Answers Everything Personal! All right, earlier today I posted ALL of my answers to ALL of your questions, and I realized that was a little much. So I'm going to break them up into the four categories (Blogging, Personal, Writing, and Reading) and make four different posts over the next couple weeks. Let's start with the Personal questions! Are there any Persons of Interest (and by Persons, I mean Young Men) in your life NOW? No. Still no. And you know what, I'm still so bad at male-female interactions that it will probably be a LONG time before that happens. On the bright side, I do have friends now! IRL friends! And they're all super-awesome nerds! Readers, anime-watchers, chain-mail makers, ... and you wonder why I don't have any Persons of Interest in my life. Do you think I will ever get to be employee of the month if I punch a coworker in the face? Take a deep breath, S. We can have our own lunch. If you could get away with stealing Halloween candy from little kids what would be the candy you would target? I love cookies and cream bars, whoppers, and butterfingers. Those were always my targets. I'm so excited about my Halloween costume, guys! Ever since I turned about 11 years old I have been WAY too self-conscious to dress up for Halloween. But remember how I said I had a bunch of new nerd-friends? They have inspired me to go all out this year. 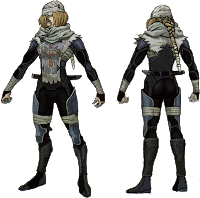 So this year I am going as Sheik from the Legend of Zelda (or, more specifically, the version of Sheik that is in Super Smash Brothers Brawl). I'm making everything myself. I've already got all the leg guards and arm guards done. All I have left are the corset, the tabbard (the shirt-thing), the hat, and the shoes. It's already looking really good! What was your favorite Halloween costume you wore as a kid? I had a costume that was a spider/bug. There were multiple sets of arms connected to my actual arms, so when I moved my arms all 6-8 arms moved (I can't remember how many arms there were). What are your favourite bands/musicians? Have a question you want to ask? Ask it here! Stealing candy from kids, for shame. :) I am so excited for Halloween. I will have to test all of my kids candy to make sure it is up to standard. Um, oops. I just posted what was supposed to be a comment in your question form. Sorry for being a dunce. Just attach the cone hat to my head. Anyway, I love your costume idea! 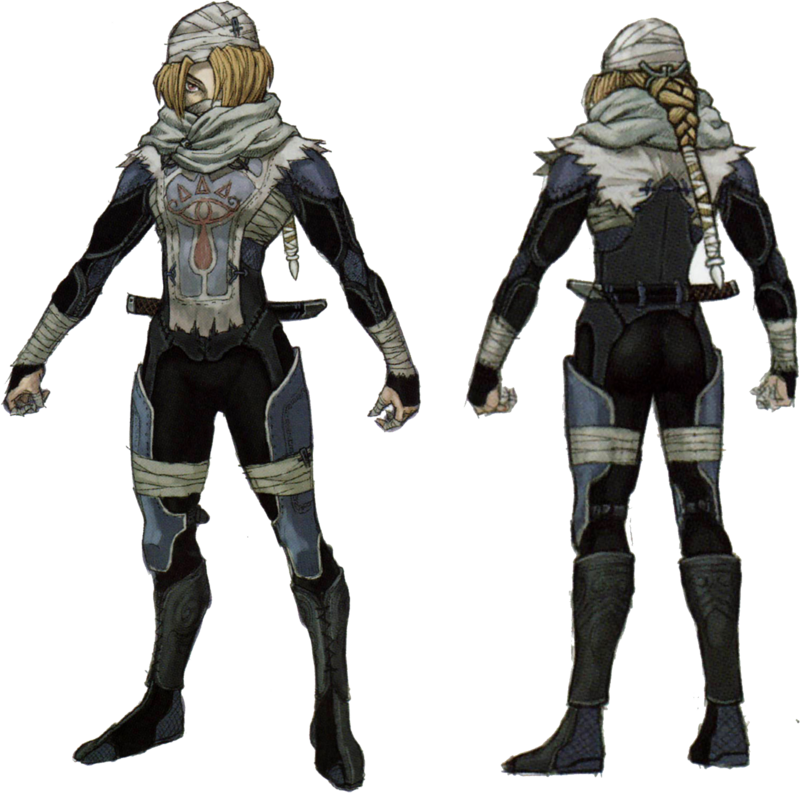 Zelda is one of my favorite things in this whole world! I'm going as Reaping Day Katniss, (and every time I say it that way, it sounds like a barbie doll). I'm excited because I got a mockingjay pin on Amazon.